We’re here to point you to what we feel are the best pickleball paddle replacement grips currently on the market, but also want to give some background info on what to look for when shopping for your next replacement grip. While many pickleball players spend a lot of time comparing notes on the newest pickleball paddles to hit the market, we generally hear very little talk of one lonely but important accessory: the paddle grip. Many new players to the sport just stick with the factory installed paddle grip and some play with it well beyond it’s useful life, not even realizing that after so many hours of play, that used and worn paddle grip needs to be replaced. Below we go over some of the most frequently asked questions, including the importance of a pickleball re-grip, the things to consider, and the differences between an overgrip and a replacement grip. For those of you that are thinking…“c’mon, it’s just a grip” and don’t want the long version, here are the top picks. (if you want the details on each grip please continue below). You may want to read to the end, we’ve recently updated the article with two other interesting products design to improve your grip: a tacky towel and a new ergonomic “IQGrip” to customize the contour and shape of your grip. Why do you need a new grip for your pickleball paddle? What’s the difference: overgrip vs. replacement grip? Simply put, you don’t necessarily “need to” but you may be missing out if you stick with your worn grip rather than replacing it. 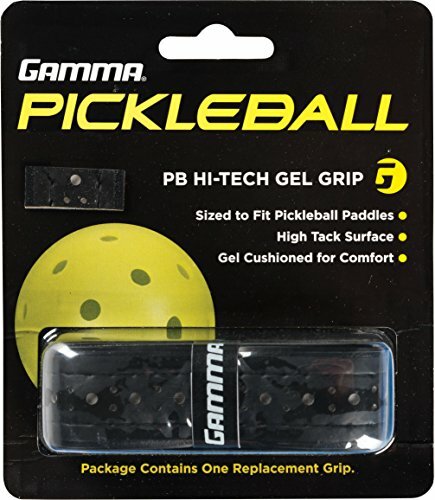 The top brands that specialize in manufacturing pickleball grips (such as Gamma, ProLite, etc) make grips that are specifically made to add extra cushion, absorb sweat and add tackiness to the surface that will give you a solid connection to the paddle. 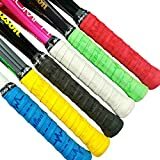 If you are playing with an a paddle that’s gotten quite a bit of use and have never replaced the grip you may be in for a very nice surprise with these top quality replacements. With the exception of the cheapest pickleball paddles, most new paddles on the market come from the factory with a quality grip. 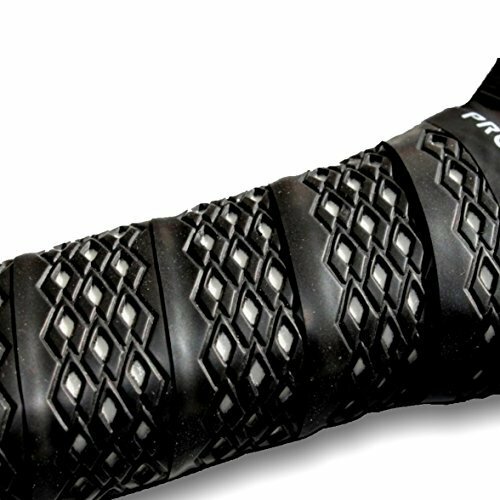 But even the best sweat absorbing grips will get worn out at some point and need to be replaced. This is true with almost all racket sports. If you want pro tennis, you somtimes even see them wrapping on a new overgrip in between sets when they feel their grasp on the paddle starting to to slip. What some beginner players don’t realize is that replacing the grip can breath life into an old paddle. I’ve heard some people say “time to get a new paddle” thinking theirs was worn out when on inspection the paddle itself was in still in good condition, the grip just needed to replaced. To no fault of there own, they didn’t even realize that they could simply swap out the old grip for a new one. If you purchased a beginner paddle it may have likely come with an inferior “no-name” grip, in which case replacing that basic material with a premium paddle grip – like the ones Gamma and ProLite make – can be a major upgrade to the paddle at a relatively small cost. Certain grips are ideal for reducing the effects of sweat buildup, others provide the much-needed tackiness, while certain models improve the paddle’s performance. So, let’s rephrase our answer – you don’t need a new grip, but we highly recommend that you decide otherwise. Generally, your paddle and the basic knowledge about the sport’s mechanics are the only two things you’ll need to enjoy your games on the court. However, not all grips are the same, and there are certain things you might want to check out before you decide which one will suit you best. First of all, start with yourself and your playing style. Some people are naturals when it comes to control, others learn faster, while some people never experience the awkward problem of sweaty hands. Now, the real situation is that the majority of people have a certain problemyou need to solve in a given sphere of performance, thus you’ll need to find out your weakest point, and get a grip that will compensate for it. For instance, ProLite’s no-sweat diamond grip is ideal for people who desperately need a solution for sweaty hands, Alien Pros’ x-dry grip is great for people that want to add a bit more balance to their game, and so on. Replacement Grip: is used to replace your stock grip (the one you get when you buy the paddle). Players often consider this option if they’re majorly unimpressed with the performance of their paddle, deciding that no amount of over-gripping can compensate for the drawbacks. By using a replacement grip on a low end paddle you can transform the feel and touch of the paddle. It’s never going to make up for the major weaknesses of a budget paddle in terms of materials and paddle tech, but it can definitely provide a more solid hold on the paddle which can translate into more power, better spin on your shots and finesse to your dinks shots at the net. Having a good hold and solid grasp on the paddle is key and the grip is your contact point. Killer Combo: If you’re feeling like your grip is weak or slipping on the paddle, buying a good quality pickleball glove in combination with a new grip on your paddle could make a huge difference for you- it’s simple and relatively affordable way to up your game. Paddle Overgrip: is simply supposed to go “over” your stock grip (duh! – sorry it sound dumb but just wanted to be sure we are on the same page). Most often the overgrip provides a non-slip surface while certain models provide additional benefits like a tacky surface, but their most crucial role is to reduce the sweat buildup, giving you a better hold on the handle and making the game more enjoyable. You can easily replace an overgrip without having to mess with the actual paddle grip and competitive players will replace them often as itgets worn from wear and sweat. Because of this, overgrips are often sold in packs of 3 rolls or more. Before we begin, we’d like to say a word about the “Gamma Sports“. Namely, these guys are one of the prominent leaders in the grip manufacturing industry, and they’ve substantially contributed to the development of pickleball. They boast a huge catalog of premium-quality grips, replacement grips, and overgrips, and we’re introducing you to one of their best replacement grips so far – the “PB Hi-Tech Gel Grip“. As per manufacturer’s description, this grip is “sized to fit pickleball paddles”, it features a “high tack surface”, and it’s “gel cushioned for comfort”. Undoubtedly, this replacement grip will provide a superb, non-slip surface and help minimize problems you’ve had with ball control, sweatiness, and lack of tackiness. Furthermore, we recommend that you check out our “how to replace your pickleball paddle grip” if you’re having trouble or doing it for the first time. Another popular Gamma Sports grip, is the Gamma “PB Supreme” overgrip It comes in a number of color variations, including the “assorted Neon” combination which is comprised of pink, yellow, and orange, the “Black” 3-piece stack, and the “White” 3-piece stack. Most pickleball players like ProLite for their remarkable ingenuity and high-end paddles. 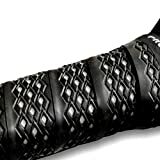 Their grips also look awesome, boasting high levels of versatility, durability, and performance. This particular model is the best grip we’ve come across for people with sweaty hands, as it features a durable layer with moisture-wicking properties. The cushioned surface further boosts the overall comfort, allowing you to get a firm, strong grip on our paddle handle. Our top pick is Alien Pros’ X-dry overgrip, and there’s a very special list of reasons for it. First of all, you’re to choose from 9 theme-based grip packages, including the “Beats”, “Constellation”, “Eat”, “Love”, “Neon Beats”, “Neon Precision”, “Ocean”, “Pets”, and “Precision” themes. What’s more, every Alien Pro X-dry overgrip comes in a package of six highly durable, vibration-dampening, PU cushioned overgrips. On top of that, each package is highly affordable, and remarkably valuable for the money. Tourna’s Grip would’ve made first place if it wasn’t for Alien Pros’ superior versatility. This grip is every bit as good as our top pick, with a small exception – it’s not as colorful. Be it as it may, Tourna’s Grip come in packages of 2-50 grips, each one being comprised of premium-quality, superbly durable original Tourna grips. Unless you are really into styling your paddle with colored grips, this is a solid choice. With each purchase, you’ll also get a complementary finishing tape. Just one color option: blue it looks good and keep your grip dry and firmly planted on the handle- which is much more important in my mind that the looks.All things considered, this grip great quality for the price. Tourna Grip is also made in the USA. Reader Recommendation: One of our readers who plays pickleball in sunny Florida recently told us about this grip towel by Gamma. If you sweat a lot while you play, especially if you play in hot weather, this towel can be an another way to give some added tackiness. 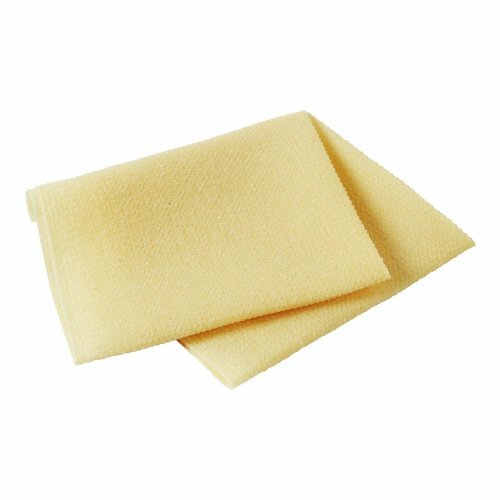 This non-toxic cloth towel measures 9″ x 18″ and is permeated with natural bee’s wax. You press the towel in your hands (or glove if you wear one) or you can press or rub it into your grip, giving it a thin coating that helps repel moisture. While the towel is designed to last 6 months you do have to reapply it often, some users with very sweaty hands report that they need to reuse it even after every set. On the plus side, it doesn’t leave long lasting residue or stain. Although we didn’t find any ruling on using this in pickleball tournaments, it is approved by the US Tennis Association (USTA). It’s relatively inexpensive – so if you are dealing with sweaty hands, it might be a useful accessory to toss into your pickleball bag. If you are really not getting the results you want with standard grips, you may want to check out IQGrip which a new pickleball product on the market that is specifically designed to customize the grip shape of your paddle. The product comes as a set with small and large pads that you place in the desired spot of the handle. These go over your existing grip and you then fix them in place using a roll of overgrip that comes with it. Although the product is maybe not for everyone, player who are really trying to get a custom grip that molds well to their hand may want to try these out. The idea behind the product is that since everyone’s hand shape as well as they way they grip the paddle is unique so a flat grip tape will not do enough to fill the shape of your palm. The pads can be used to create a more ergonomic shape that molds well to your palm, you can slao use a pair of pads- one on each side of the paddle to create a symmetrical tapered feel to the handle. The basic set comes with one large pad and two pads, the over wrap and a small illustrated instruction sheet explaining how to install them. The best thing about choosing your grip (replacement paddle grip or overgrip) is that if your stock handle is worn, lost its cushion or no longer absorbs the sweat from your hands- no matter which grips you choose from the list above- you should see a noticeable improvement in your grip. Each style of grip provides a different set of benefits, and it’s safe to assume that even the cheapest models will do you some good if your currently playing with an old, worn grip.